Dry Fog Humidification for the assembly process - IKEUCHI EUROPE B.V.
By analyzing the existing condition of the facility (e.g. 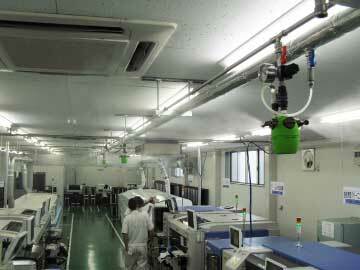 room size, air refreshment ratio, SMT line layout, local climate, etc. ), we offer the suitable installation to prevent ESD issues and reduce the defect rate. 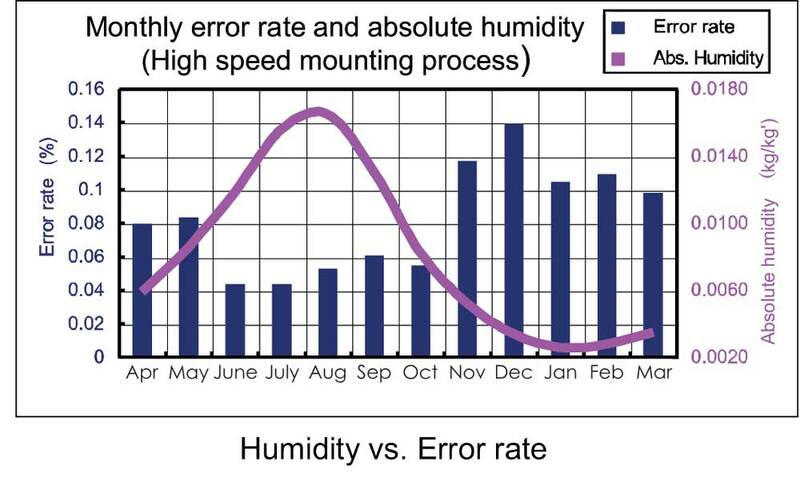 By adding humidity, it helps to reduce the mounting defect, prevent dust adhesion, and save on existing air conditioning cost.